Remember when Shay talked with Zoe and Lizzy of Star Wars Geek Girl a few weeks ago? Well now, as a special BONUS episode, you get to hear the last bit of that conversation, where Zoe and and Shay discuss the new airing time for Star Wars: Rebels, rant about Jedi attachments, whether love and relationships are an inherent problem for Force users, and *a lot* of #Kanera! This is definitely a fangirly episode, so beware. 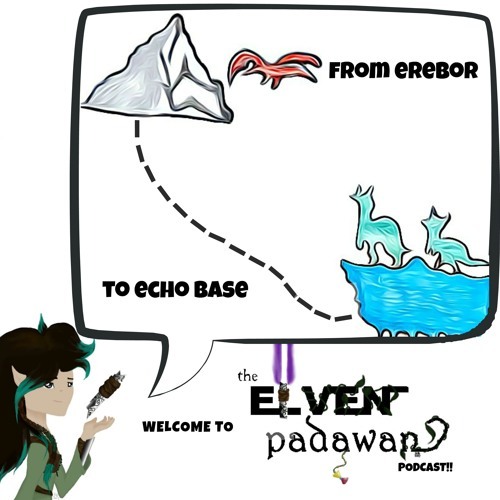 As always, check out www.elvenpadawan.com, rate/review and subscribe to The Elven Padawan on iTunes/SoundCloud/GooglePlay Music, and follow Shay on Twitter (@ElvenPadawan)! And also make sure to check out the Star Wars Geek Girl podcast for lots more on Rebels, fangirls, and Star Wars goodness. May the Wind under your Wings carry you to where the Sun sails and the Moon walks, and the Force be with You, always!